What will the next Dialogue be about? Our world is constantly changing and evolving at such a rapid speed that it is hard to keep up. Through technological advancements, our world shifted into unknown ground with possibilities, that are yet to be discovered. It has shaped our mindsets and therefore influenced our entire environment. This change affects each and every one of us and should not be taken lightly. The topic at the last World Business Dialogue was ‘Facing Change’, but this time we will take it a step further. Let us not only face the change, let us live it or even better, let us be the ones to lead it. Thus our focus at the 21st World Business Dialogue is: ‘The Digital Organization’. We want to spark a cross-border debate about the changes in our world and the chances it brings. So, what exactly is ‘The Digital Organization’? As our research started we quickly realised the depth and complexity of this topic, to be quite frank, it was overwhelming. Nevertheless, in spite of all these articles, panels and whatsoever, there was nothing that put the term ‘The Digital Organization’ in a nutshell. After further investigation, we soon realized why. It is far too complex and impossible to touch upon every important aspect in detail. ‘Who will be affected by the shifting in our world’ and ‘how to overcome these challenges’. These were one of our main questions. As a result, we began to brainstorm and filtered our aggregated knowledge, only to end up with an overloaded whiteboard and spinning heads. After many midnight meetings, our possible discussion points were starting to take shape. Some of the keywords include Leadership, Corporate Culture, Digital Mindset, Synthesis of Digital and Human and lastly Innovation. These subjects cover the bottom line of progress and adaptation in this rapid transformation with constant change. Just to give you an idea of our selected questions: What is the best strategy to lead a business? How is the mindset shifting in our community? Is digitalization always the best solution? These and many more questions will be discussed amongst the participants and with experts at the upcoming congress. What is your opinion on this topic? Have we forgotten something? We would love to receive feedback from you, so feel free to reach out to us and tell us your point of view. Our aim is to host an inspiring and exhilarating conference. Along the lines of: Enable. Inspire. Act. – Our hope is to engage a passionate dialogue between the participants and encourage multicultural exchanges. It is not for nothing that we are called the World Business Dialogue. Share your ideas, inspire others and get inspired. The world does not stop turning, so why should we? Take part in shaping our future and spread the message. 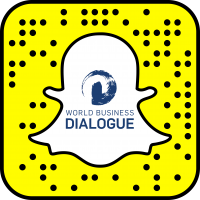 All of us hope to see you at the upcoming World Business Dialogue in March 2018!